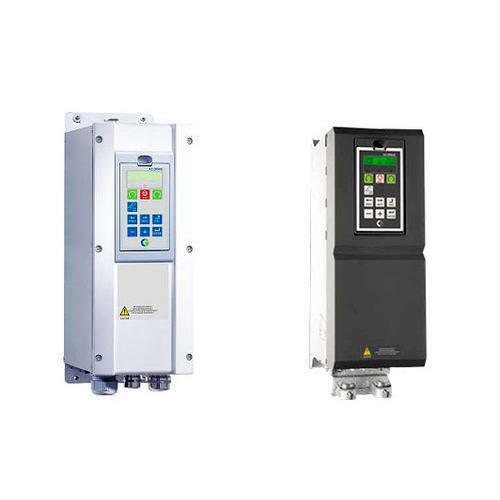 Pioneers in the industry, we offer vfx ac drive, emotron vfx/fdu 2.0 ac drive, cg emotron solar drive, emotron flow drives and emotron vse drives from India. 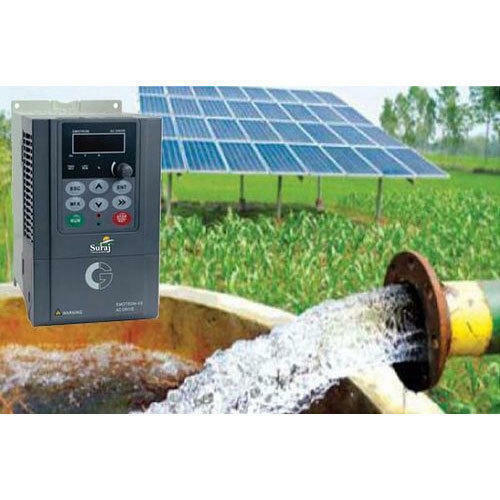 Dedicated solar drive Suraj VSR series drives offer realiable,cost -efficent and user friendly.Suraj has been specially developed for solar water pumping.Built in self adaptive high accuracy maximum power point tracking(MPPT) algorithm ensure maximum water flow output.Compatibilty of VSR drives with AC as well as DC input gives user the flexibility to optimize the operation and improve reliability of Opration. 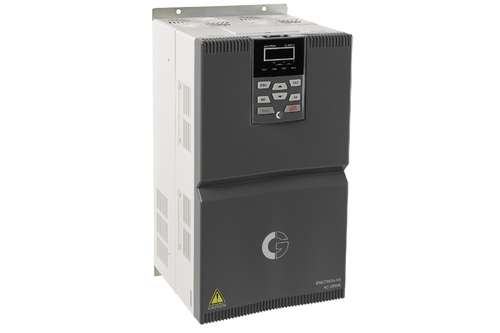 AC 380 or DC 540V (Voltage range 230-800 VDC). 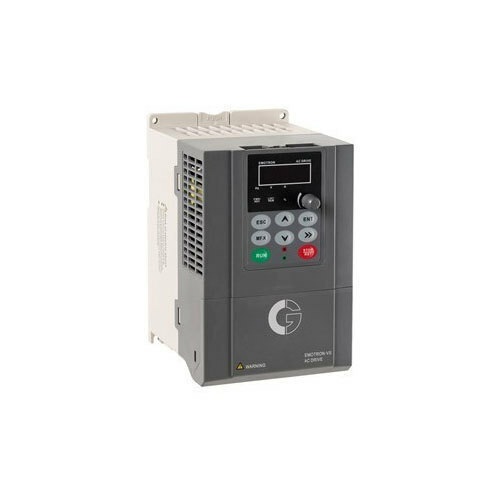 Emotron Flowdrive is designed for use in the most common pumping scenarious (1-2 Pump of any Brand) in the waste water management industry.The heart of Flowdrive is automatic reservoir level control - Which optimises energy use,minimises the need for maintainance and enables real time process monitoring. Access to system data/parameters for Continuous performance monitoring. 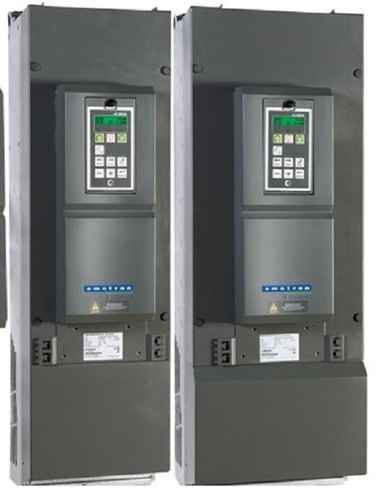 VSE series drives offer effortless and smooth operation with all types of elevators and includes excellent tuning features for the safest,most efficient and most comfortable passenger experience without vibrationand jerks. Buit-in dynamic braking unit for all models.